The Telegraph recently called it ‘Britain’s most exciting country house hotel opening of 2017’ and we are in total agreement. Michael Caines, one of Britain’s most celebrated and best known chefs has opened the door at last to his Lympstone Manor saying, ‘Lympstone Manor is the realisation of a dream, my vision of country house hospitality for the 21st century’. 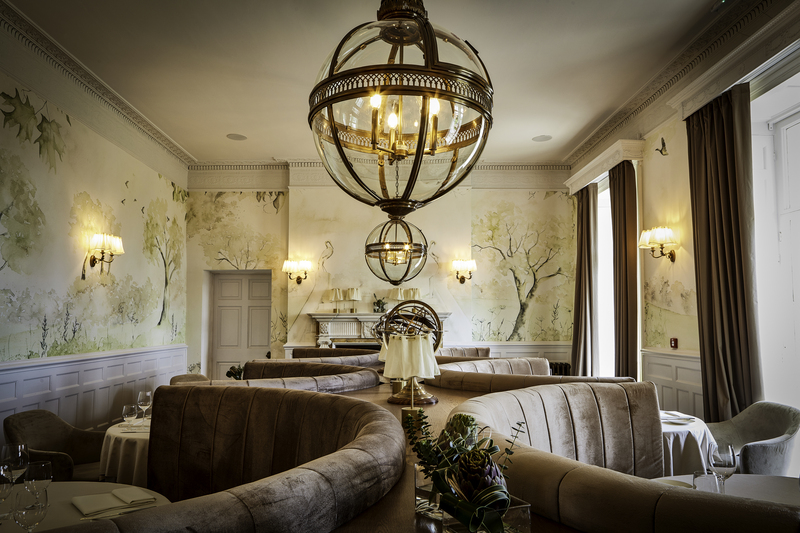 With hopes for a third Michelin star, the dining at Lympstone has Michael’s impeccable signature style along with his new-found freedom to fully express his version of modern British cuisine. 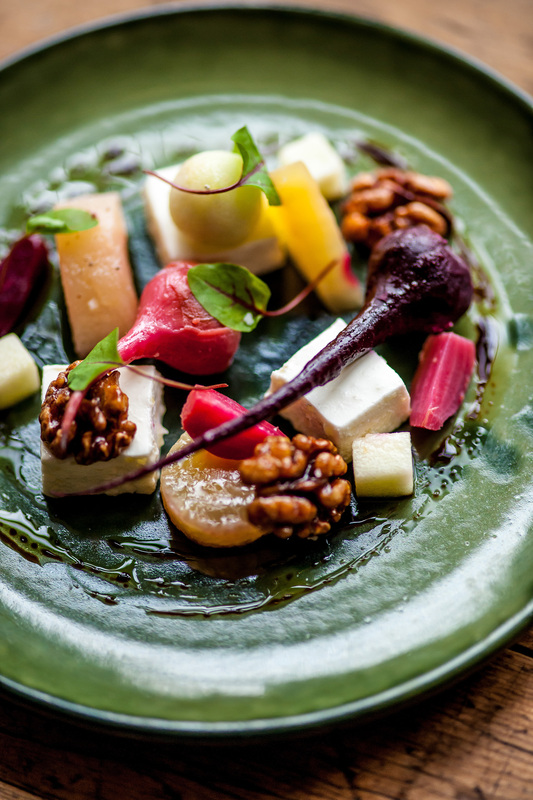 Expect fresh, seasonal, original and exciting, utilising the bounty of the Exe Estuary, East Devon and the Southwest. Click here for menu link. Club members and their guests receive a complimentary glass of Michael Caines Blanc de Blanc Champagne when having lunch or dinner Monday to Friday. Click here for more details. Not a member? Click here for details of how to join. Line a 35 x 25 x 2cm baking tray with cling film. To make the mousse, put the goats’ cheese and yoghurt into a food processor and process to a smooth puree. Meanwhile, soak the gelatine in cold water until soft. Bring the cream to the boil, remove from the heat, then add the gelatine and stir to dissolve. Add the warm cream to the goats’ cheese and yoghurt puree and transfer to a bowl. Stir in the diced apple and celery and season with salt and pepper. Pour into the prepared tray and leave to set for 6 hours. Once set, remove to a chopping board and take off the clingfilm. Cut into 2.5cm cubes, allowing 3 per portion. Cut the roasted beetroot into interesting shapes and divide between four bowls. Dress with the walnut vinaigrette and leave to marinade for 10 minutes. Mix some of the aged balsamic with some extra virgin olive oil, then take a spoon and drizzle some of this dressing into the bowl. Place three pieces of goats’ cheese mousse on each plate and surround with the marinated beetroot, then place seven pieces of diced apple over and around. Add five walnuts and a few beetroot salad leaves and serve. Not a member? Why not treat yourself to a year of dining in luxury and enjoy benefits, treats and tantalizing offers in the UK’s best restaurants – all for just £95.00 for 12 months. Find out more here.